At 10:15 a.m. on Roosevelt Avenue in Springfield, two cars collided. The incident occurred on the icy streets close to Butova Gymnasium at American International College. It is unclear how or why, another car added to the accident shortly thereafter. Occupants in all three cars were transported to the hospital with injuries. As much as the local news would like you to believe that the weather reports are dependable, they are not. Sometimes, a driver finds himself amidst a sudden weather change, and must push on to their ending point. This change in weather may not have been something the driver was prepared for and an accident may occur. It may not be the weather alone that was the cause of the accident, but the condition of the road combined with the weather. The city responsible for maintaining the road may be liable to the driver for not foreseeing the dangerous road condition in certain weather conditions. The particular entity responsible for the road or highway may be difficult to ascertain. This is why it is important to hire knowledgeable Massachusetts personal injury attorneys to sort this out. Once the entity that is responsible is known, your attorney must determine how that entity’s action or inaction contributed to your injury, this is known as negligence. This will likely turn on what knowledge the city had as to the conditions of their roads under various weather conditions. If they knew that a pothole after a snowstorm is extremely dangerous, yet fail to fill the pothole before the next snowstorm, then they would be liable for any accidents therefrom. 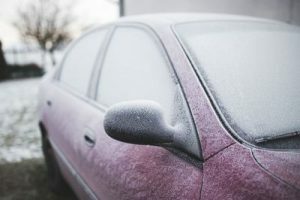 If you find yourself the victim of the unpredictable weather and defective road conditions, contact the lawyers at the Law Offices of Jeffrey S. Glassman at (617) 367-2900, and tell us your story.